Fields in Záhorie (Slovakia) - a typical Central European agricultural region. Domestic sheep and a cow (heifer) pastured together in South Africa. Modern aquifers, has been observed in recent decades, and the effects of global warming on agriculture and of agriculture on global warming are still not fully understood. The word agriculture is a late Middle English adaptation of Latin agricultūra, from ager, "field", and cultūra, "cultivation" or "growing". Agriculture usually refers to human activities, although it is also observed in certain species of ant, termite and ambrosia beetle. To practice agriculture means to use natural resources to "produce commodities which maintain life, including food, fiber, forest products, horticultural crops, and their related services." This definition includes arable farming or agronomy, and horticulture, all terms for the growing of plants, animal husbandry and forestry. A distinction is sometimes made between forestry and agriculture, based on the former's longer management rotations, extensive versus intensive management practices and development mainly by nature, rather than by man. Even then, it is acknowledged that there is a large amount of knowledge transfer and overlap between silviculture (the management of forests) and agriculture. 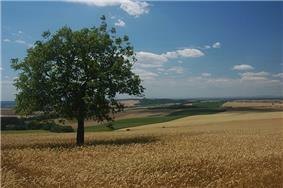 In traditional farming, the two are often combined even on small landholdings, leading to the term agroforestry. Agriculture involving domestication of plants was developed around 11,500 years ago separately in both the Fertile crescent and at Chogha Golan in modern day Iran, where wild barley, wheat and lentils were cultivated and with domesticated forms of wheat appeared about 9,800 years ago. 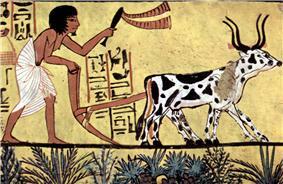 Agriculture has undergone significant developments since the time of the earliest cultivation. The Fertile Crescent of Western Asia, Egypt and India were sites of the earliest planned sowing and harvesting of plants that had previously been gathered in the wild. 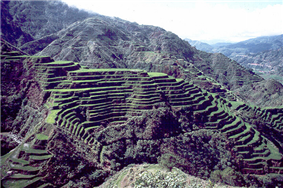 Independent development of agriculture occurred in northern and southern China, Africa's Sahel, New Guinea, parts of India and several regions of the Americas. Agricultural techniques such as irrigation, crop rotation, the application of fertilizers were developed soon after the Neolithic Revolution but have made significant strides in the past 200 years. The Haber-Bosch method for synthesizing ammonium nitrate represented a major breakthrough and allowed crop yields to overcome previous constraints. In the past century, agriculture in the developed nations, and to a lesser extent in the developing world, has been characterized by enhanced productivity, the replacement of human labor by synthetic fertilizers and pesticides, tariffs and farm subsidies. Infrared image of the above farms. 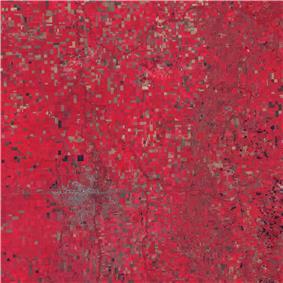 Various colors indicate healthy crops (red), flooding (black) and unwanted pesticides (brown). In the past century agriculture has been characterized by increased productivity, the substitution of synthetic fertilizers and pesticides for labor, integrated pest management and selective breeding. Recent mainstream technological developments include genetically modified food. 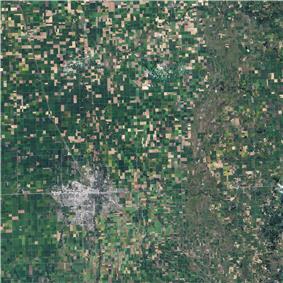 In 2007, higher incentives for farmers to grow non-food biofuel crops combined with other factors, such as overdevelopment of former farm lands, rising transportation costs, climate change, growing consumer demand in China and India, and population growth, caused food shortages in Asia, the Middle East, Africa, and Mexico, as well as rising food prices around the globe. As of December 2007, 37 countries faced food crises, and 20 had imposed some sort of food-price controls. Some of these shortages resulted in food riots and even deadly stampedes. The International Fund for Agricultural Development posits that an increase in smallholder agriculture may be part of the solution to concerns about food prices and overall food security. They in part base this on the experience of Vietnam, which went from a food importer to large food exporter and saw a significant drop in poverty, due mainly to the development of smallholder agriculture in the country. Disease and land degradation are two of the major concerns in agriculture today. For example, an epidemic of stem rust on wheat caused by the Ug99 lineage is currently spreading across Africa and into Asia and is causing major concerns due to crop losses of 70% or more under some conditions. Approximately 40% of the world's agricultural land is seriously degraded. In Africa, if current trends of soil degradation continue, the continent might be able to feed just 25% of its population by 2025, according to UNU's Ghana-based Institute for Natural Resources in Africa. 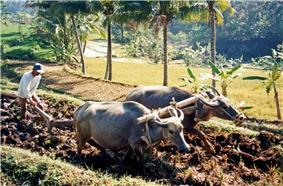 Agrarian structure is a long-term structure in the Braudelian understanding of the concept. On a larger scale the agrarian structure is more dependent on the regional, social, cultural and historical factors than on the state’s undertaken activities. Like in Poland, where despite running an intense agrarian policy for many years, the agrarian structure in 2002 has much in common with that found in 1921 soon after the partitions period. In 2009, the agricultural output of China was the largest in the world, followed by the European Union, India and the United States, according to the International Monetary Fund (see below). Economists measure the total factor productivity of agriculture and by this measure agriculture in the United States is roughly 1.7 times more productive than it was in 1948. ^ M. Pietrzak, D. Walczak. 2014. The Analysis of the Agrarian Structure in Poland with the Special Consideration of the Years 1921 and 2002, Bulgarian Journal of Agricultural Science, Vol 20, No 5, pp. 1025, 1038. ^ Acquaah, G. 2002. "Land Preparation and Farm Energy" pp.318–338 in Principles of Crop Production, Theories, Techniques and Technology. Prentice Hall, Upper Saddle River, NJ. ^ Acquaah, G. 2002. "Pesticide Use in U.S. Crop Production" pp.240–282 in Principles of Crop Production, Theories, Techniques and Technology. Prentice Hall, Upper Saddle River, NJ. ^ Acquaah, G. 2002. "Soil and Land" pp.165–210 in Principles of Crop Production, Theories, Techniques and Technology. Prentice Hall, Upper Saddle River, NJ. ^ Chrispeels, M.J.; Sadava, D.E. 1994. "Nutrition from the Soil" pp.187–218 in Plants, Genes, and Agriculture. Jones and Bartlett, Boston, MA. ^ Brady, N.C.; Weil, R.R. 2002. "Practical Nutrient Management" pp.472–515 in Elements of the Nature and Properties of Soils. Pearson Prentice Hall, Upper Saddle River, NJ. ^ Acquaah, G. 2002. "Plants and Soil Water" pp.211–239 in Principles of Crop Production, Theories, Techniques and Technology. Prentice Hall, Upper Saddle River, NJ. There are many influences on the creation of agricultural policy, including consumers, agribusiness, trade lobbies and other groups. It has been suggested that some transgenic plants may some day be developed which would allow for maintaining or increasing yields while requiring fewer fossil-fuel-derived inputs than conventional crops. The possibility of success of these programs is questioned by ecologists and economists concerned with unsustainable GMO practices such as terminator seeds. While there has been some research on sustainability using GMO crops, at least one prominent multi-year attempt by Monsanto Company has been unsuccessful, though during the same period traditional breeding techniques yielded a more sustainable variety of the same crop. In the event of a petroleum shortage (see labor-intensive and would require a shift of the workforce from urban to rural areas. The reconditioning of soil to restore nutrients lost during the use of monoculture agriculture techniques also takes time. Indirect consumption is mainly oil and  Food systems encompass not just agricultural production, but also off-farm processing, packaging, transporting, marketing, consumption, and disposal of food and food-related items. Agriculture accounts for less than one-fifth of food system energy use in the US. The twenty largest countries by agricultural output in 2015, according to the IMF and CIA World Factbook. National government policies can significantly change the economic marketplace for agricultural products, in the form of taxation, subsidies, tariffs and other measures. Since at least the 1960s, a combination of import/export restrictions, exchange rate policies and subsidies have affected farmers in both the developing and developed world. In the 1980s, it was clear that non-subsidized farmers in developing countries were experiencing adverse affects from national policies that created artificially low global prices for farm products. Between the mid-1980s and the early 2000s, several international agreements were put into place that limited agricultural tariffs, subsidies and other trade restrictions. According to a report by the International Food Policy Research Institute (IFPRI), agricultural technologies will have the greatest impact on food production if adopted in combination with each other; using a model that assessed how eleven technologies could impact agricultural productivity, food security and trade by 2050, IFPRI found that the number of people at risk from hunger could be reduced by as much as 40% and food prices could be reduced by almost half. Technological advancements help provide farmers with tools and resources to make farming more sustainable. New technologies have given rise to innovations like conservation tillage, a farming process which helps prevent land loss to erosion, water pollution and enhances carbon sequestration. Some major organizations are hailing farming within agroecosystems as the way forward for mainstream agriculture. Current farming methods have resulted in over-stretched water resources, high levels of erosion and reduced soil fertility. According to a report by the International Water Management Institute and UNEP, there is not enough water to continue farming using current practices; therefore how critical water, land, and ecosystem resources are used to boost crop yields must be reconsidered. The report suggested assigning value to ecosystems, recognizing environmental and livelihood tradeoffs, and balancing the rights of a variety of users and interests. Inequities that result when such measures are adopted would need to be addressed, such as the reallocation of water from poor to rich, the clearing of land to make way for more productive farmland, or the preservation of a wetland system that limits fishing rights. There are several factors within the field of agriculture that contribute to the large amount of CO2 emissions. 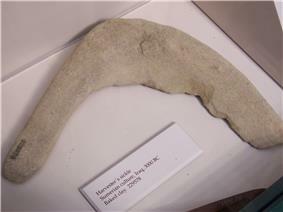 The diversity of the sources ranges from the production of farming tools to the transport of harvested produce. Approximately 8% of the national carbon footprint is due to agricultural sources. Of that, 75% is of the carbon emissions released from the production of crop assisting chemicals. Factories producing insecticides, herbicides, fungicides, and fertilizers are a major culprit of the greenhouse gas. 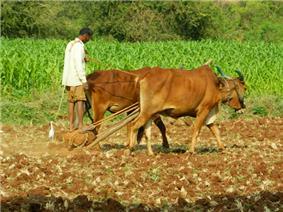 Productivity on the farm itself and the use of machinery is another source of the carbon emission. Almost all the industrial machines used in modern farming are powered by fossil fuels. These instruments are burning fossil fuels from the beginning of the process to the end. Tractors are the root of this source. The tractor is going to burn fuel and release CO2 just to run. The amount of emissions from the machinery increase with the attachment of different units and need for more power. During the soil preparation stage tillers and plows will be used to disrupt the soil. 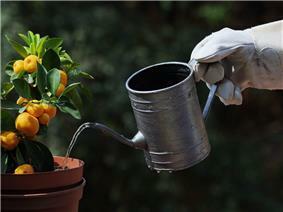 During growth watering pumps and sprayers are used to keep the crops hydrated. 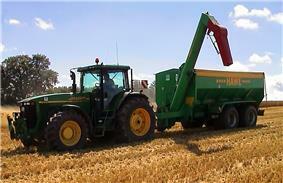 And when the crops are ready for picking a forage or combine harvester is used. These types of machinery all require additional energy which leads to increased carbon dioxide emissions from the basic tractors. The final major contribution to CO2 emissions in agriculture is in the final transport of produce. Local farming suffered a decline over the past century due to large amounts of farm subsidies. The majority of crops are shipped hundreds of miles to various processing plants before ending up in the grocery store. These shipments are made using fossil fuel burning modes of transportation. Inevitably these transport adds to carbon dioxide emissions. Climate change has the potential to affect agriculture through changes in temperature, rainfall (timing and quantity), CO2, solar radiation and the interaction of these elements. Extreme events, such as droughts and floods, are forecast to increase as climate change takes hold. Agriculture is among sectors most vulnerable to the impacts of climate change; water supply for example, will be critical to sustain agricultural production and provide the increase in food output required to sustain the world's growing population. Fluctuations in the flow of rivers are likely to increase in the twenty-first century. Based on the experience of countries in the Nile river basin (Ethiopia, Kenya and Sudan) and other developing countries, depletion of water resources during seasons crucial for agriculture can lead to a decline in yield by up to 50%. Transformational approaches will be needed to manage natural resources in the future. For example, policies, practices and tools promoting climate-smart agriculture will be important, as will better use of scientific information on climate for assessing risks and vulnerability. Planners and policy-makers will need to help create suitable policies that encourage funding for such agricultural transformation. Agriculture accounts for 70% of withdrawals of freshwater resources. Agriculture is a major draw on water from aquifers, and currently draws from those underground water sources at an unsustainable rate. It is long known that aquifers in areas as diverse as northern China, the Upper Ganges and the western US are being depleted, and new research extends these problems to aquifers in Iran, Mexico and Saudi Arabia. Increasing pressure is being placed on water resources by industry and urban areas, meaning that water scarcity is increasing and agriculture is facing the challenge of producing more food for the world's growing population with reduced water resources. Agricultural water usage can also cause major environmental problems, including the destruction of natural wetlands, the spread of water-borne diseases, and land degradation through salinization and waterlogging, when irrigation is performed incorrectly. Water pollution in a rural stream due to runoff from farming activity in New Zealand. Other GMO crops used by growers include insect-resistant crops, which have a gene from the soil bacterium Bacillus thuringiensis (Bt), which produces a toxin specific to insects. These crops protect plants from damage by insects. Some believe that similar or better pest-resistance traits can be acquired through traditional breeding practices, and resistance to various pests can be gained through hybridization or cross-pollination with wild species. In some cases, wild species are the primary source of resistance traits; some tomato cultivars that have gained resistance to at least 19 diseases did so through crossing with wild populations of tomatoes. Herbicide-resistant seed has a gene implanted into its genome that allows the plants to tolerate exposure to herbicides, including glyphosates. These seeds allow the farmer to grow a crop that can be sprayed with herbicides to control weeds without harming the resistant crop. Herbicide-tolerant crops are used by farmers worldwide. With the increasing use of herbicide-tolerant crops, comes an increase in the use of glyphosate-based herbicide sprays. In some areas glyphosate resistant weeds have developed, causing farmers to switch to other herbicides. Some studies also link widespread glyphosate usage to iron deficiencies in some crops, which is both a crop production and a nutritional quality concern, with potential economic and health implications. genetic material has been altered by genetic engineering techniques generally known as recombinant DNA technology. Genetic engineering has expanded the genes available to breeders to utilize in creating desired germlines for new crops. Increased durability, nutritional content, insect and virus resistance and herbicide tolerance are a few of the attributes bred into crops through genetic engineering. For some, GMO crops cause food safety and food labeling concerns. Numerous countries have placed restrictions on the production, import or use of GMO foods and crops, which have been put in place due to concerns over potential health issues, declining agricultural diversity and contamination of non-GMO crops. Currently a global treaty, the Biosafety Protocol, regulates the trade of GMOs. There is ongoing discussion regarding the labeling of foods made from GMOs, and while the EU currently requires all GMO foods to be labeled, the US does not. The Green Revolution popularized the use of conventional hybridization to sharply increase yield by creating "high-yielding varieties". For example, average yields of corn (maize) in the USA have increased from around 2.5 tons per hectare (t/ha) (40 bushels per acre) in 1900 to about 9.4 t/ha (150 bushels per acre) in 2001. Similarly, worldwide average wheat yields have increased from less than 1 t/ha in 1900 to more than 2.5 t/ha in 1990. South American average wheat yields are around 2 t/ha, African under 1 t/ha, and Egypt and Arabia up to 3.5 to 4 t/ha with irrigation. In contrast, the average wheat yield in countries such as France is over 8 t/ha. Variations in yields are due mainly to variation in climate, genetics, and the level of intensive farming techniques (use of fertilizers, chemical pest control, growth control to avoid lodging). manure, green manure, compost and mined minerals. Crop nutrient use may also be managed using cultural techniques such as crop rotation or a fallow period. Manure is used either by holding livestock where the feed crop is growing, such as in managed intensive rotational grazing, or by spreading either dry or liquid formulations of manure on cropland or pastures. Farming is the practice of agriculture by specialized labor in an area primarily devoted to agricultural processes, in service of a dislocated population usually in a city. Livestock production systems can be defined based on feed source, as grassland-based, mixed, and landless. As of 2010, 30% of Earth's ice- and water-free area was used for producing livestock, with the sector employing approximately 1.3 billion people. Between the 1960s and the 2000s, there was a significant increase in livestock production, both by numbers and by carcass weight, especially among beef, pigs and chickens, the latter of which had production increased by almost a factor of 10. Non-meat animals, such as milk cows and egg-producing chickens, also showed significant production increases. Global cattle, sheep and goat populations are expected to continue to increase sharply through 2050. Aquaculture or fish farming, the production of fish for human consumption in confined operations, is one of the fastest growing sectors of food production, growing at an average of 9% a year between 1975 and 2007. Animals, including horses, mules, oxen, water buffalo, camels, llamas, alpacas, donkeys, and dogs, are often used to help cultivate fields, harvest crops, wrangle other animals, and transport farm products to buyers. Animal husbandry not only refers to the breeding and raising of animals for meat or to harvest animal products (like milk, eggs, or wool) on a continual basis, but also to the breeding and care of species for work and companionship. Important categories of crops include FAO estimate. The organization has developed the  It estimates that the annual work-related death toll among agricultural employees is at least 170,000, twice the average rate of other jobs. In addition, incidences of death, injury and illness related to agricultural activities often go unreported. The International Labour Organization considers agriculture "one of the most hazardous of all economic sectors." Agriculture, specifically farming, remains a hazardous industry, and farmers worldwide remain at high risk of work-related injuries, lung disease, noise-induced hearing loss, skin diseases, as well as certain cancers related to chemical use and prolonged sun exposure. On industrialized farms, injuries frequently involve the use of agricultural machinery, and a common cause of fatal agricultural injuries in developed countries is tractor rollovers. Pesticides and other chemicals used in farming can also be hazardous to worker health, and workers exposed to pesticides may experience illness or have children with birth defects. As an industry in which families commonly share in work and live on the farm itself, entire families can be at risk for injuries, illness, and death. Common causes of fatal injuries among young farm workers include drowning, machinery and motor vehicle-related accidents.